5x8 Squares Pine Forest Puzzle. Fun geography online game. 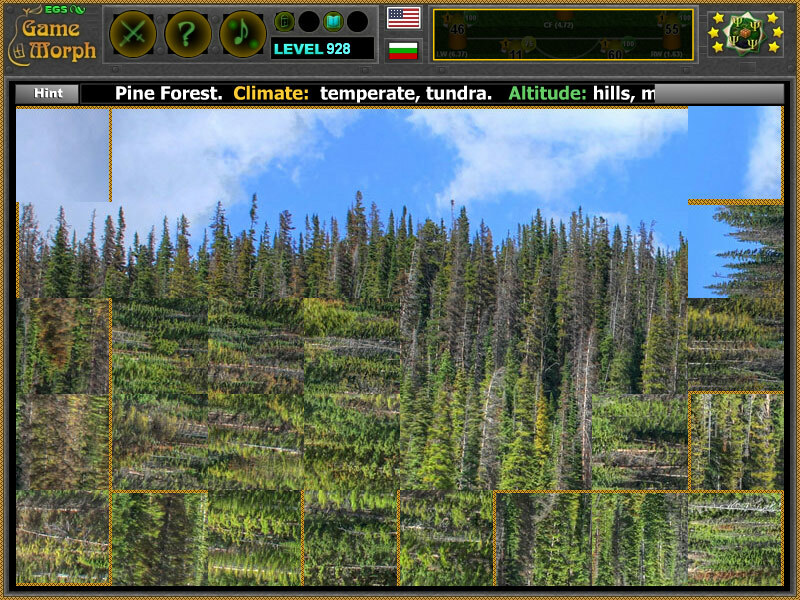 "Pine Forest Puzzle" is a free online square rotating puzzle with picture of a pine fores. Click on a square to rotate it. A small educational game for desktop computers, laptops and tablets, which may be played in the web browser. The Geography Knowledge Board include 40 pieces to play with. The game is part of the Interactive World Maps educational tools. Where do pine Forests appear? What is the altitude of the pine forests appearance? How to play Pine Forest Puzzle. This is a standard square rotating puzzle. Click on the puzzle pieces while they fit the original picture. Know the pine forest appearance regions and get +1 Knowledge Level. Labels: Square Puzzles , Geography Puzzles , Flash Games , Geography Games , Education Games , Free Online Games.